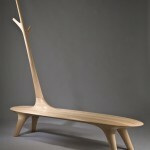 Designer Matthias Pliessnig has recently completed benches for two different projects, one in Boston, Massachusetts, the other in Beirut, Lebanon. 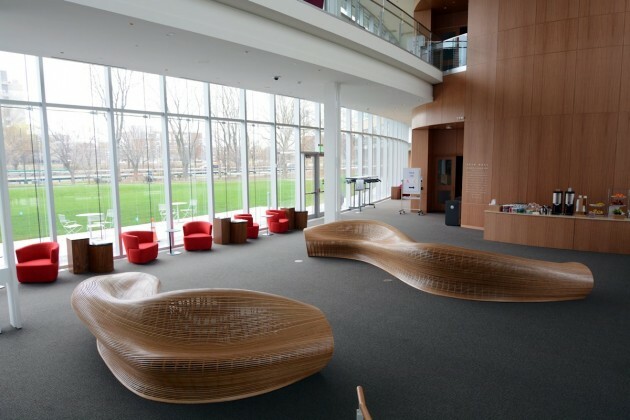 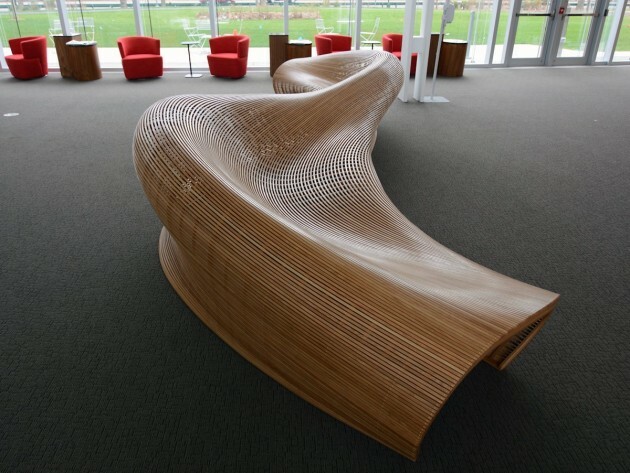 Rawn Architects of Boston, MA and Harvard University worked with us on the design for two large benches to be installed at Tata Hall, Harvard Business School’s newest building. 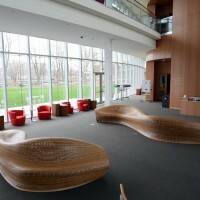 We worked through numerous designs before deciding on the final two benches to compliment the lobby interior. 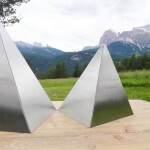 The benches installed are titled Eurus and SInuo. 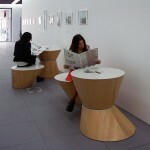 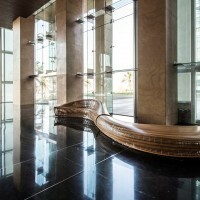 Nabil Gholam architects requested three benches for the Platinum Towers in Beruit, Lebanon. 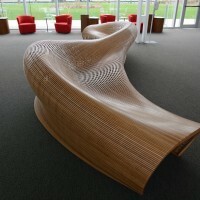 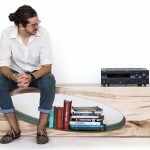 The benches were built in Providence, Rhode Island and shipped to Lebanon for installation. 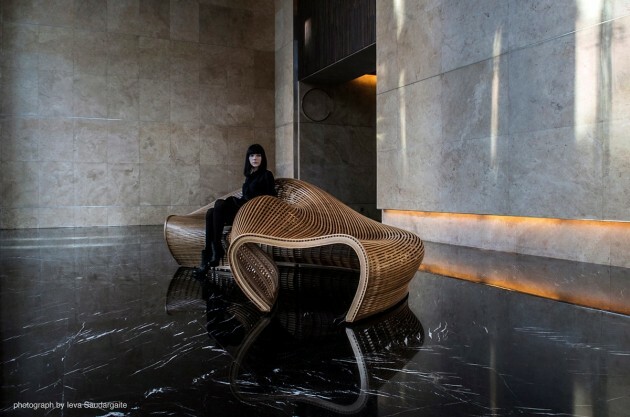 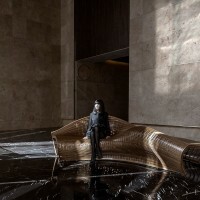 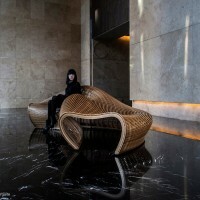 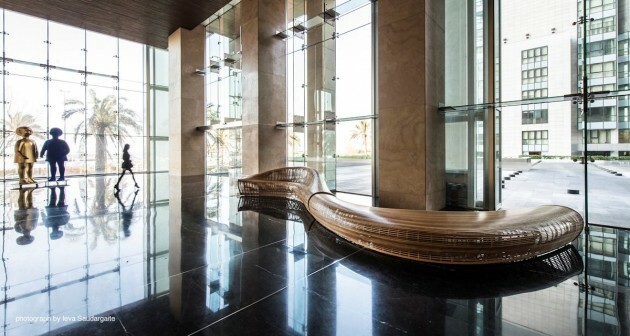 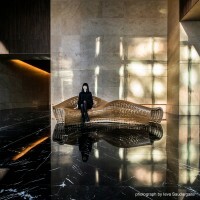 They sit in the lobby on polished black Nero Marguina Marble. 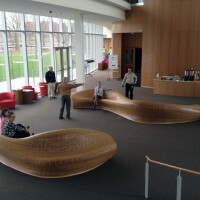 The benches installed are titled Spill II, PVD, and Pinch.